The Same Skills Are Needed for Both Sports: Think about all of the physical skills you need to play volleyball. Running, jumping, pivoting, squatting, standing, shuffling, and more. Now think about the skills needed to successfully play basketball. Most of those skills overlap, meaning the gear ideal for basketball will most likely be ideal for volleyball as well, especially in the shoe department. They Are Durable: Basketball shoes are made to withstand heavy abuse. They are created with the best materials and are put together in a fashion that holds up against long hours of running, standing, jumping and diving- all of which are integral parts of volleyball. 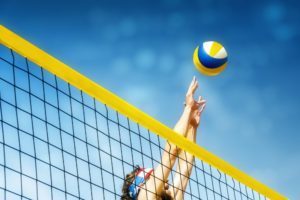 They Have Good Traction: When you lose traction in volleyball, you will find it hard to get where you need to be on the court, and can even end up with some pretty severe injuries. The traction on basketball shoes are ideal for someone who wants to stay secure on the slick volleyball courts. They Have Excellent Ankle Support: The most common injury in basketball is sprained and broken ankles. Because of this, the shoes on the market for this sport are designed with built in support for the ankle. In volleyball, the most common injury is the same. It is so easy to twist or bend the ankle in the wrong way and cause an injury. The built-in ankle support of basketball shoes can prevent such things from happening. There Is an Excellent Variety: There are a good amount of volleyball shoes out there. You definitely have some choices available to you. That being said, the variety available to you in basketball shoes is so much greater. As basketball is the most popular sport, there is more gear designed and manufactured for the sport, especially with shoes. This makes it easier for you to find shoes that best suit your weight, height, position, particular skills, and specific set of protective needs. When you open up your shoe search to include basketball shoes, you will have a much bigger chance of success with getting the perfect pair for you. There Are Great Styles: Admittedly, this is not high on the priority list for most serious athletes. It is still true most people want to look good while they are on the court, and with the huge variety in inventory, you can end up with a very stylish pair to use while you grace the volleyball court. 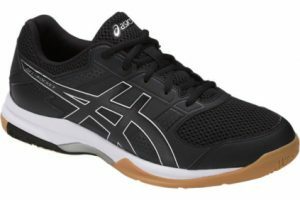 They Cost Less: As was stated earlier, volleyball shoes are somewhat more rare and limited than basketball shoes. That means that often, the economic laws of supply and demand take effect and the prices of those shoes rise. Basketball shoes are easier to find, and there are a lot more of them out there. This makes the purchase a lot easier on your wallet, even though you are still getting a very high quality product. Now that you see why basketball shoes are so well suited for volleyball, here are 5 great options on the market for you to consider to up your volleyball game. When one of the biggest legends in basketball history retired, the Nike brand went wild pushing the shoe they designed in his honor. While it might seem like a marketing ploy, the truth is that this is a very good shoe! It quickly became a best seller for the Nike brand because it was a high quality product with excellent real life reviews. The idea to make a shoe that would help up Kobe’s game turned out to be an excellent strategy. A notable feature is the appearance. 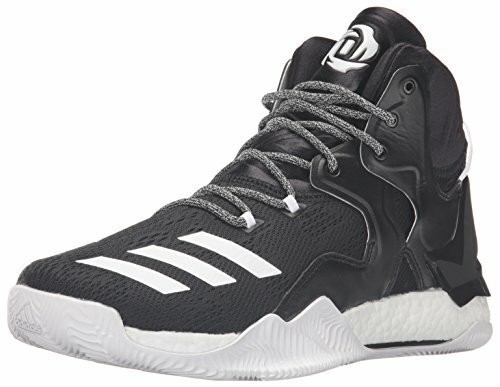 This shoe does not look like your ordinary basketball shoe. It is much smaller and lighter. Don’t let that fool you, however. The design of the sole is meant for excellent traction, and the support built into the frame of the shoe makes it strong without necessitating any superfluous materials on the outside. One thing that makes this shoe stand out from the others in this line up is the internal foam insert. This is there to mold to your feet. After a few games on the volleyball court, your shoes will automatically know what you need. Because of this, it is important for you to not lend these shoes to anyone else for the first two weeks of owning them. They need to create the right impressions for you and your game. This sleek design makes it good for speed and agility, which is important for someone having to race and jump for unpredictable volleyballs. Basketball players love them for the history and the quality, and volleyball players will benefit from the same things. Finally, you can go as bold or as subtle as you want with the color. Some feature bright colors like pink, green, and orange, and others are more subdued in shades of black, gray, and white. 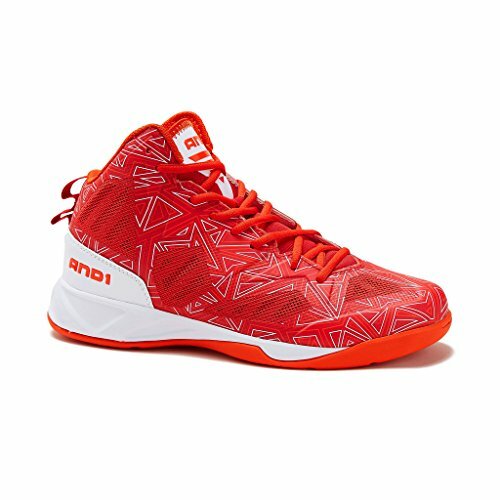 This means that you can let your personality shine through your choice of footwear, making this one of the best basketball shoes for volleyball. Stephan Curry Two is another huge name in basketball, and as such, he has also had a shoe made in his honor. 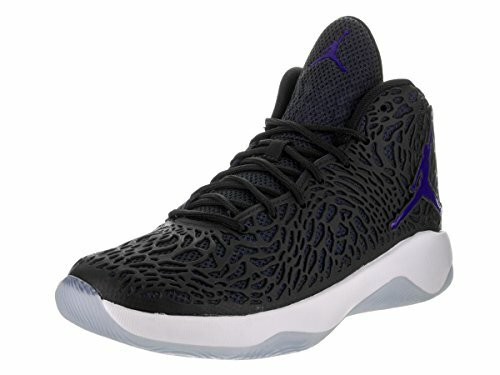 Under Armour, a very important brand in the sports attire world, took on the challenge of creating a shoe that would best support the needs this dynamic player has on the court. He is a very different player with a very different style than the aforementioned Kobe, making this shoe quite unique in make and design, and one of the best basketball shoes for volleyball. The feature that makes this shoe stand out from the crowd is the charged cushioning. The inner sole of the shoe is designed to work like shocks on a vehicle. They absorb the impact of the body, and quickly give back with a bit of a bounce. 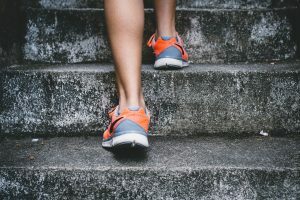 Not only does this make the constant jumping and changes of motion easier on the ankle and leg joints, but it also allows those changes of direction to be made with power and force. Another safety feature of this shoe is the grip. The traction pattern built into the sole is impressive, and makes it hard for you to slide around. This allows you to have perfect control of where you go on the court. The expertly designed grip will make you faster, and will help you to avoid injuries. They are also said to be very comfortable. Many reviews out there claim that this shoe feels just as comfortable when it goes on as it does after hours of heavy athletic training. Comfort coupled with power makes these an excellent option for your volleyball shenanigans. This shoe has a much different design than the others on this list, as it is made for those who move the most during the game. If you are one of the forwards on your volleyball team, then this is an option to pay close attention to. The specific goal of this make and model was to increase speed, and support the ankle. This was done by including some excellent design features. The first notable feature is the high ankle. You are not traveling all the way back to the time of high tops in this shoe, but the concept is pretty straight forward, and had little to do with styling. 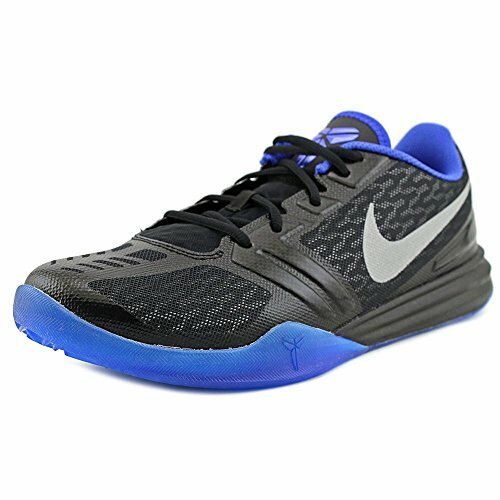 The higher cut of the top offers additional support for the ankle and the calf muscles, which is why they are some of the best basketball shoes for volleyball. Those who run the most on the court and end up with the most contact with other players need this kind of support. If this sounds like you during a regular game of volleyball, then look for this feature in any shoe you consider. This is also important to look for if you have been injured in those areas in the past. As a part of the Adidas line, you can rest assured that this shoe is made from the finest materials. Genuine leather and a high grade synthetic mesh pair to give you a very resistant shoe. This will hold up to all the force you can give it, and then some. If you have struggled with other shoes coming apart at the seams, then the problem was likely with the quality of the materials used. That is not something you will run into with this shoe. Your volleyball game could improve drastically, and your ankles and legs will be better protected in shoes that showcase this unique design. In addition, they look great thanks to the different color and style options available. There was no way of getting through a list of the best basketball shoes without making a nod to the arguably most talented and famous player in NBA history. While the signature Air Jordans did not make the top 5, the new Ultra Fly option did. 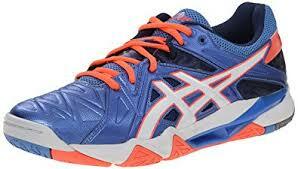 This is a great shoe that makes the crossover from basketball to volleyball quite seamlessly. Even the look and feel of them is a lot like the shoes you might find in the volleyball department. There are a lot of reasons for this, but the main one is the style design. This is not a large shoe. It was carefully constructed with the best materials so that it could remain tight and light. 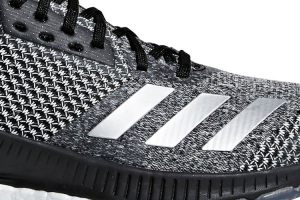 The first thing people notice when looking at this shoe is the mesh cage over the top. This adds some excellent visual appeal, but that was in no way the reason for including it. That unique cage design is what gives you the stability you need, while keeping the shoe ultralight. You get the best of both worlds with that fantastic cage, while still looking great. Another volleyball-friendly feature of this shoe that makes it perfect for volleyball is the U-throat design of the sole. Most professional volleyball shoes actually feature a split sole. This U-throat is meant to function in the same manner as the split sole without losing the control that sometimes happens with the dual sole options. 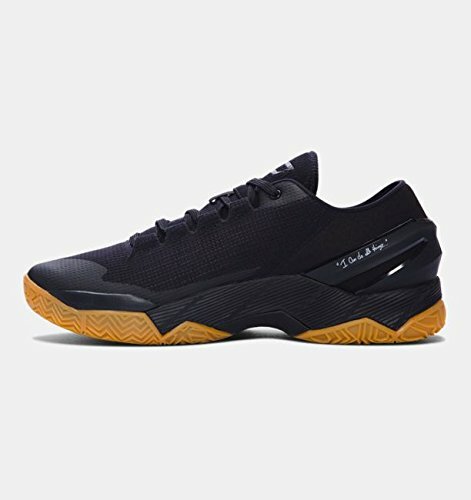 You get the range of motion you need without opening yourself up to some of the injuries that come from those split soles, making it one of the best basketball shoes for volleyball. Finally, we come to the second option in the AND1 Xcelerate line. This new design is perfect for life on both the basketball and volleyball courts. The brand itself is known for their incredible designs and good quality materials, and this shoe in particular fused together some great features to improve your volleyball skills. This shoe is unique in its construction because it utilizes groundbreaking no-sew technology. This means that the main structure is made and melded without sewing multiple pieces together. The lack of seams immediately improves the durability of the shoe as there are not multiple pieces to come apart with too much force. Another features loved by basketball and volleyball players alike is the arch support. The specially shaped sole helps arches to not be over worked as you bounce around and shift different directions. 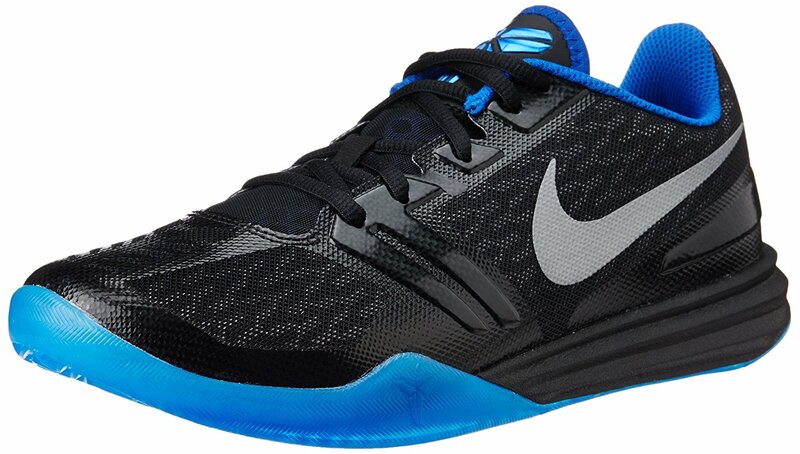 This makes it one of the best basketball shoes for volleyball. The arch support also protects the ankle and the tendons in the ankle from being overworked. Finally, this shoe features some unique laser-cut ventilation pockets. These are strategically placed to help regulate the temperature of your feet without compromising the structural integrity of the shoe. This can give you a great deal of comfort without losing the support you need to protect yourself from the physical rigors of the game. In conclusion, if you have struggled in the past to find the right shoes to sport on the volleyball court, then there is a good chance that your main problem is that you have simply been looking in the wrong section. The best basketball shoes for volleyball will open up a lot of more options for you. Let basketball shoes open your mind to some new possibilities in style, support, agility, and so much more. If you feel you want to stick to a volleyball shoe then read through our top rated volleyball shoes reviews.